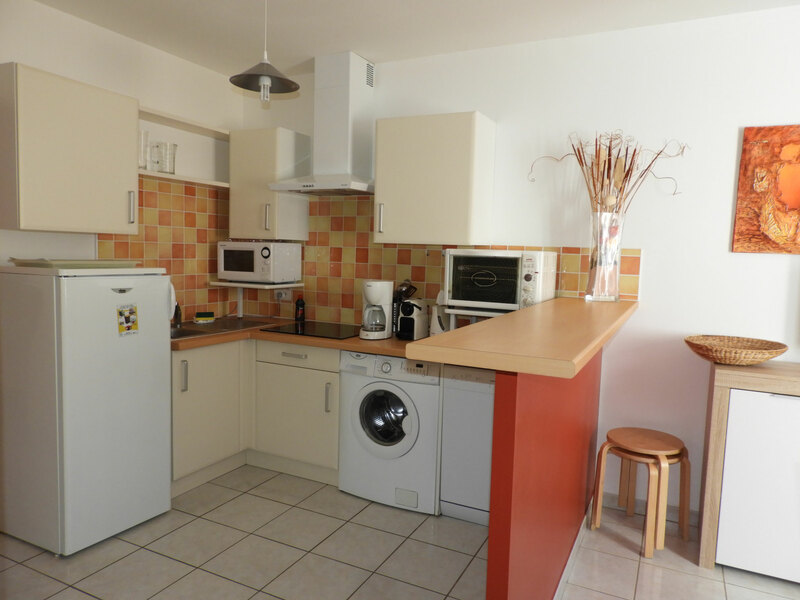 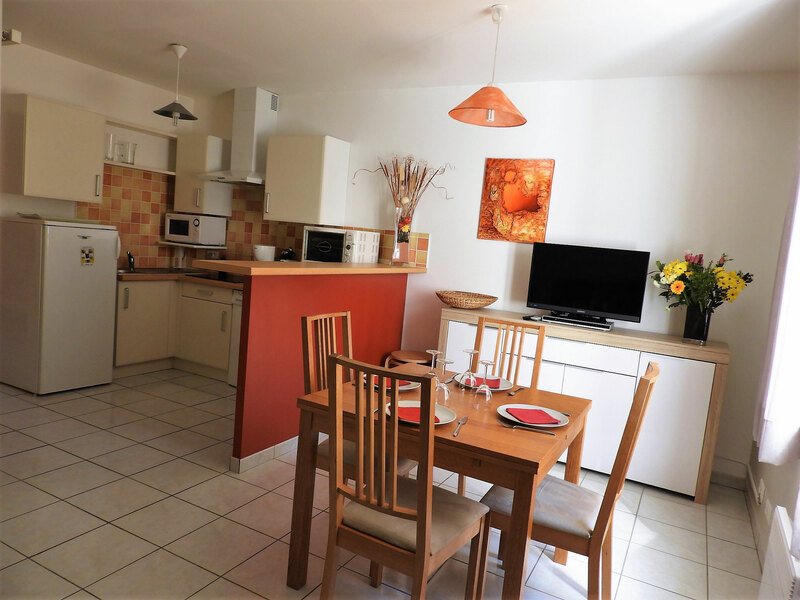 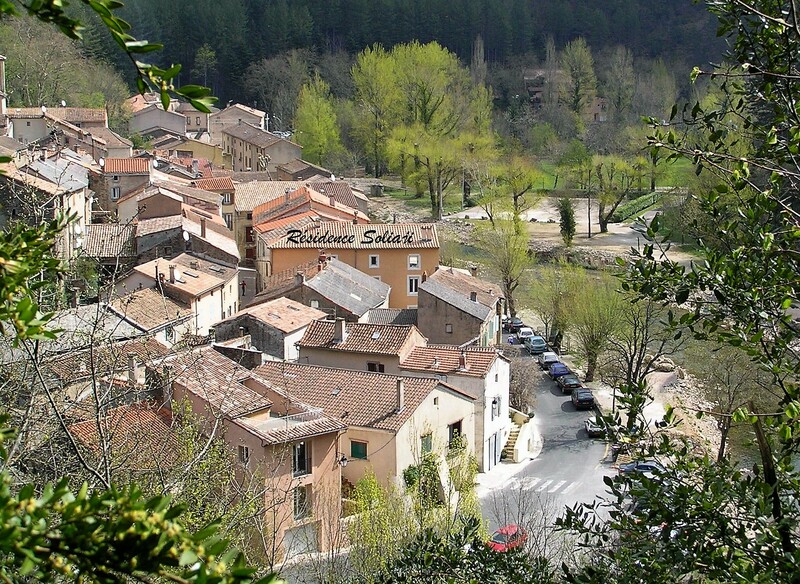 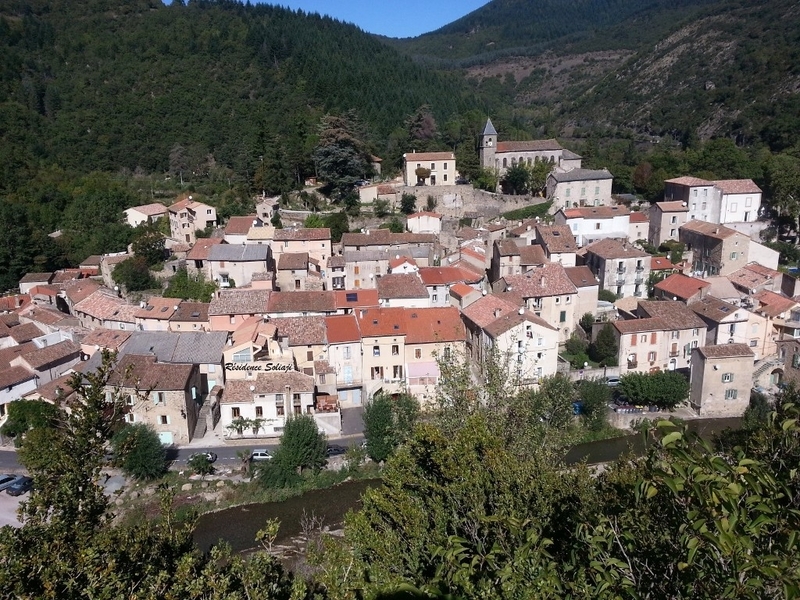 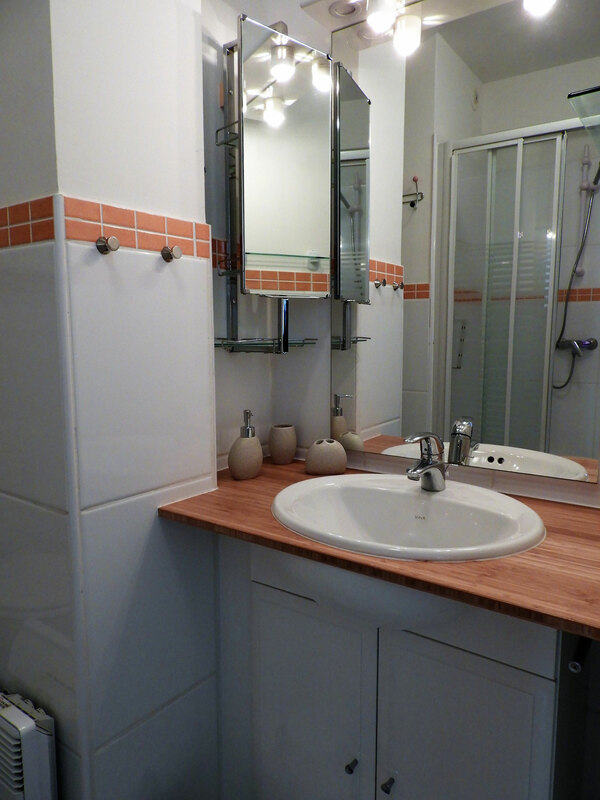 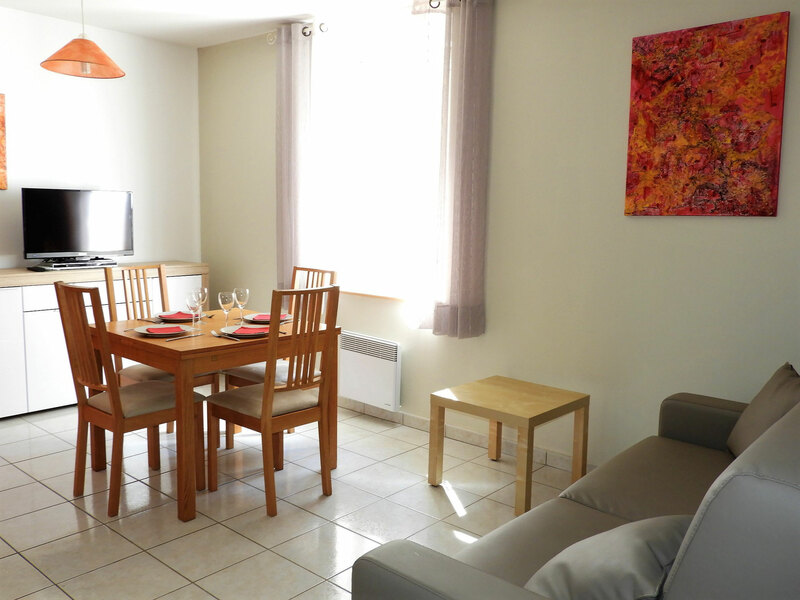 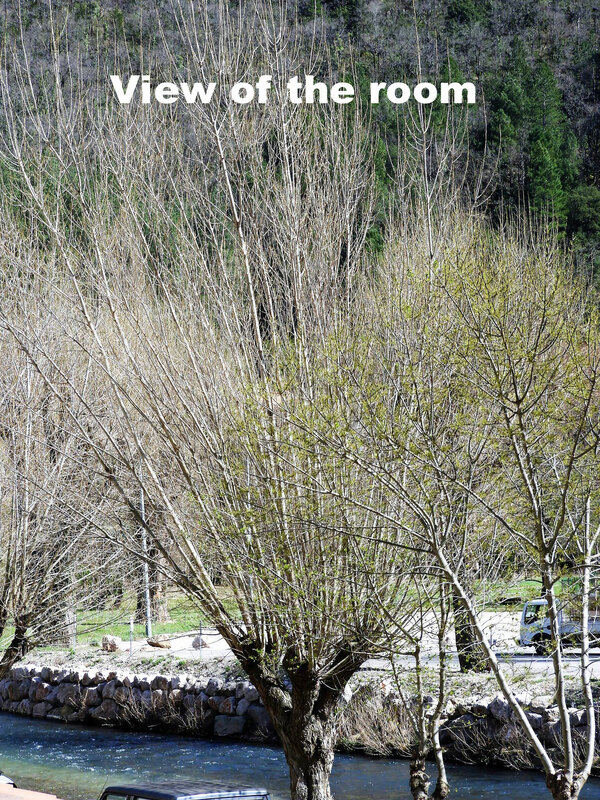 APARTMENT No 1 : Apartment-Suite – 6 persons - Need a tastefully furnished accommodation in Avene ? 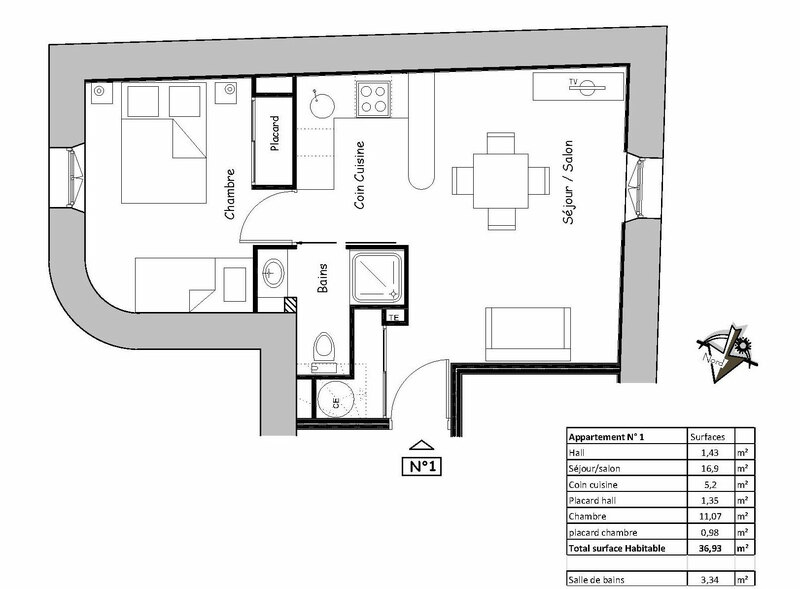 Features a living room-kitchen and a closed bedroom. 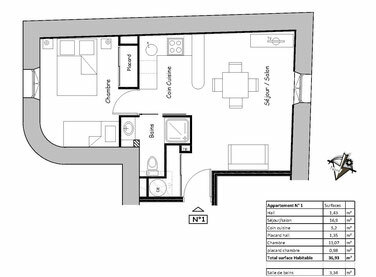 Bedroom can sleep 4 persons (double bed of 140cm + 2 single bunk beds -80cm) and the living room sofa-bed can sleep 2 more persons (see floor-plan). 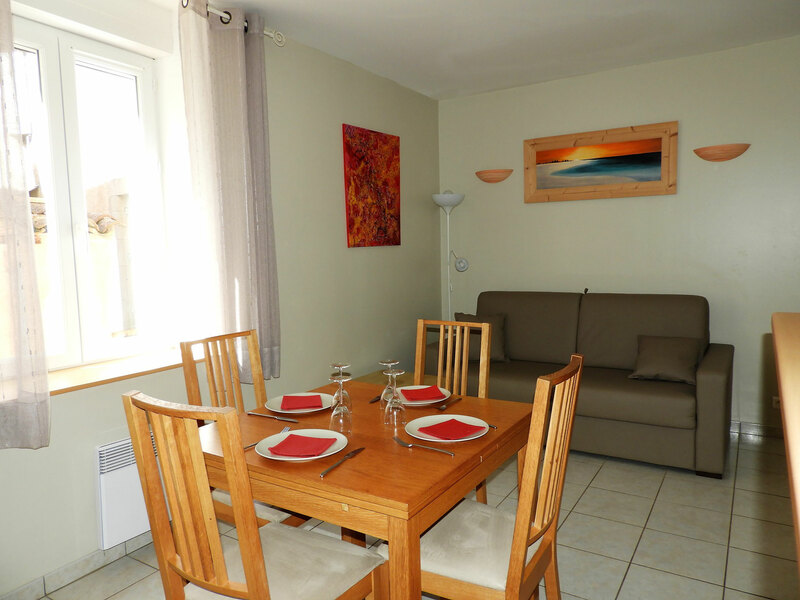 You will enjoy the calm and welcoming ambiance of its charming and simple modern decoration.